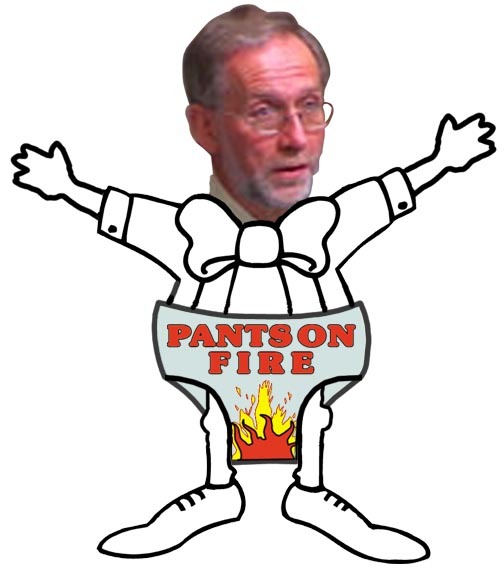 A pair of blazing underpants were today awarded to Europe’s leading plant biotech institute, the John Innes Centre, in acknowledgement of the Centre’s extraordinarily ILLUMINATING contribution to the great GM debate. The Head of the Sainsbury Laboratory also told the same public meeting that in Losey et al’s famous Monarch butterfly study, the butterfly larvae were harmed equally by non-GM and GM corn pollen. Prof Jonathan Jones is a Senior Scientist at the John Innes Centre, heading its molecular and genetic approaches to plant disease resistance lab . According to the Daily Telegraph, at the height of the Pusztai affair , Jones colluded with Blair’s spin doctors to get a pro-GM article he’d written planted in the press. In the article Jones says of the Pusztai affair, "As a scientist myself I can only say "show me the data". Grandstanding does not resolve scientific questions." One of Prof Jones’ favourite claims is that the growing of GM crops has made the aerial spraying of pesticides unnecessary in the United Sates, resulting in "crop dusters" going "out of business" because, according to jones, plants are now so pest resistant. During the course of just one public meeting Prof Jones repeated this claim three times. However, overall insecticide use appears to have been on the increase in the US and a leading expert in this area, Dr Charles Benbrook, former Executive Director of the Board on Agriculture for the US National Academy of Sciences, says that "crop dusters" going out of business is completely unconnected with GM. According to Benbrook, it is simply because current pesticides are both devastatingly powerful and highly expensive and so "fewer and fewer pesticides may be applied aerial, because of drift". Dr Benbrook says of Jones’ much repeated claim, "This fellow does not know what he is talking about." So where exactly did Prof Jones’ get his data from on this? Prof Jones tells us he read it in a newspaper!!! The JIC’s Director, Prof Chris Lamb, has publicly expressed his concern at the "polarisation of discussion about agriculture". Instead of "polarising rhetoric", according to Lamb, the JIC is seeking to foster "balanced scientific discussion." Prof Jones shows his commitment to avoiding such "polarising rhetoric" by terming GM critics, "the green mujihadeen", and posting material on the JIC website describing them, either individually or collectively, as "bigoted", "mystical", "myopic", "anti-scientific", and prone to erupt with "green bile"! Prof Jones is far from alone. As part of a recent settlement of a libel case brought by Lord Melchett and Greenpeace UK, the High Court in London was told of how a letter from Prof Anthony Trewavas, a member of the John Innes Centre's Governing Council, made unfounded and libellous allegations. The High Court was told, "The letter suggested that the claimants had engaged in "shakedown" campaigns - that is, Greenpeace campaigns deliberately spread... unfounded fears about GM foods, so as to further their own financial interests, by producing personal profits for the first claimant and substantial payments from companies for the second claimant." The Scottish newspaper which had published the letter offered its "unreserved apologies" over its publication and also agreed to pay the claimants' legal costs as well as damages. [see: Greenpeace wins damages over professor's 'unfounded' allegations, Education Guardian, Monday October 8, 2001] The members of the JIC's Governing Council, such as Professor Trewavas, help determine the "vision", ethos and future direction of the JIC. 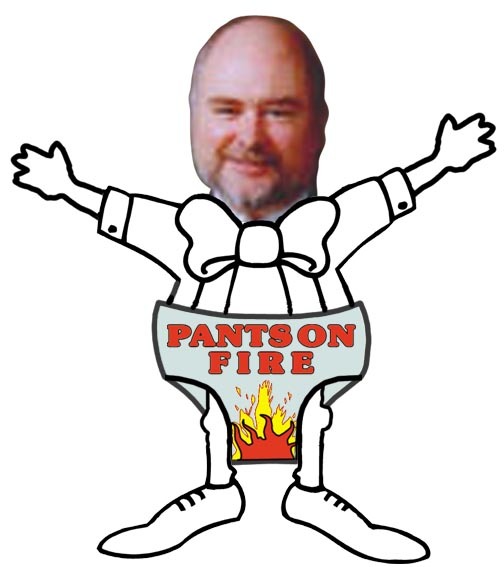 Pants on Fire Chief, Jean de Bris, comments, "Some of the world’s foremost trouser smoke specialists seem to be operating out of this institute -- certainly enough to threaten a lingerie conflagration on a gigantic scale!"